8 Things not to say to someone who has cancer or any chronic illness. Stuck our foot in our mouths when all we want to do is be encouraging to someone who is going through a rough patch. After being diagnosed with breast cancer, I became the landing pad for many “thoughtless” comments. I know that most of the comments being made are never intentionally meant to hurt but rather to encourage. However, some statements are better left unsaid not only to the cancer patient but to anyone who may suffer from a chronic condition. Here are my top 8 remarks and comments that should never leave ones mouth. 1. 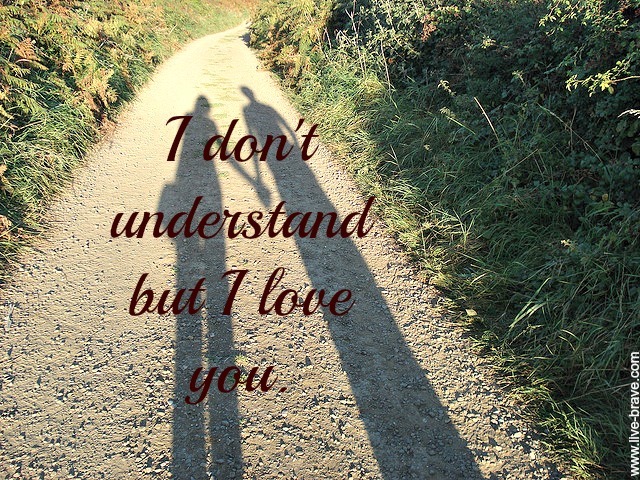 “I know how you feel” – unless you actually have a cancer diagnosis, you do not understand. Your scary mammogram that ended up being a false positive, does not equate cancer. 2. “God only gives his hardest battles to his strongest soldiers.” – really? God gave me cancer? He enjoys watching me suffer? I don’t remember enlisting as a soldier or raising my hand to be picked for this. 3. “God will never give you more than you can handle.” – see #2. Life is full of things that we can not handle. 4. “God showed (told) me that your cancer was gone.” – Please keep your prophetic (foretelling) visions of healing to yourself. If God really said it, why would he choose to tell you rather than me. Also, when the scan, or test comes back that there is still cancer, you have just discredited not only yourself but God. I have even had people tell me that God showed them I had more spots of cancer in my body than I actually do. Why would God share a diagnosis that is worse than what is already happening to a person? 5. “I know of someone who died from breast cancer.” – uhhhhhhhh. Really? 6. “Do you know how you caught breast cancer?” – FACT: Cancer is not contagious. No one has yet figured out the cure for cancer. Cancer is a by product of living in a world, culture and society that is full of toxins and stressors. Everyone has cancer cells in them, but it depends on a person’s body if the cancer cells reproduce and then show themselves active. Are there things we can do to help prevent cancer? YES. Are these all a guarantee that you will never get cancer…NO! Some of the healthiest people I know, have gotten cancer. 7. “You don’t look like you have cancer.” – There is no rule book that outlines how cancer patients should look or act or feel. When someone tells me that I that I don’t look like I have cancer, it negates the reality of my journey and only serves to make the one saying it feel better about not having to dialogue further. So what kinds of things should one, could one say instead? First, think before you speak. If you don’t know what to say, say just that. This is a welcomed response to me. Often times, I don’t know what to say either and I am the one with the diagnosis. Sometimes it is good to do something when you can’t find the words. It is always right to give or send a card. There are a ton of them out there that will say the perfect thing for you. I have hundreds of cards that I have received from kind hearted people. These have brought encouragement to me on my darkest days. I have saved every single one. Find and use them wisely. Lesley lives a life cultivating gratitude, knowing that each moment is an opportunity and each day an adventure. She believes that her purpose in life is to breathe heaven on earth by being fully present and living wholeheartedly, and desires to encourage others to do so as well. Original photo found here: Flickr. This is very true. My sister went thru cancer few years ago and I still don’t understand everything she went thru besides what I saw when she was home 2 days out of the week. she was always sleeping. I totally agree with the 8 things to not say.I’m sure some of these and more have been said to my sister. Stephanie, I am sorry that your sister went through cancer. Thank you for coming to visit and acknowledging the hard places for those affected by this horrible disease. yea She went through for 2 1/2-3 years. but Thank God she will be Cancer free going on 3 or 4 years this year. You are welcome,I’ve been reading live brave not broken for a while just never commented on anything. She had Osterosarcoma Bone Cancer had 6 inches of bone removed from her lower leg plus her knee cap was replaced, then It came back a second time but in her lung. I don’t know what to say about this, but I love you all, whether I know you or not. And I mean that. Such valuable information! I always second guess myself about what to say or not say, so it’s nice to hear it first hand from someone who has experienced it. Thank you dear friend. You’re welcome. Thank you for being faithful and reading. Hi Katherine, thank you for sharing your video. I enjoyed it. I am ogliometastatic having only one met to my bone. Hoping to keep it that way for years. on the journey with you.